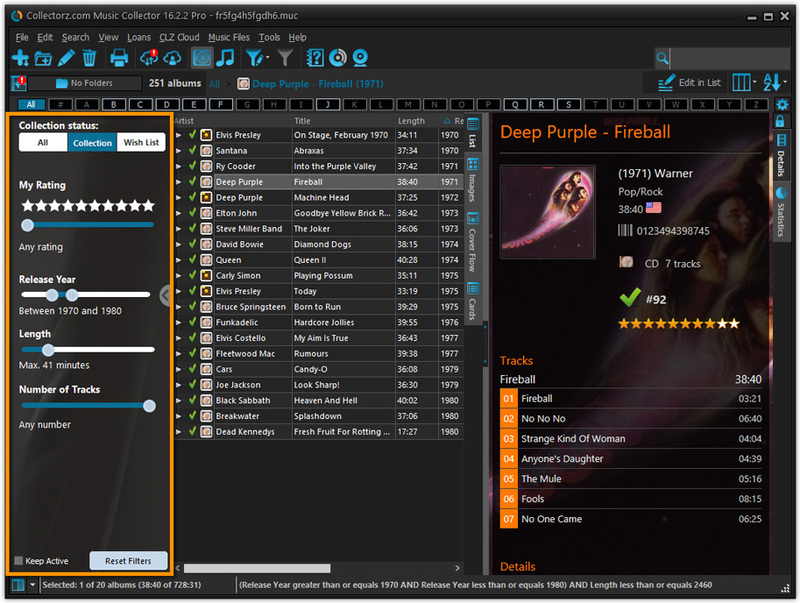 Music Collector 16.0.8 – Catalog your CDs in a database automatically. Browse your collection by different organizing factors and use the integrated Loan Manager to track which CDs you loaned and to whom. The demo version of this app caps your database at 100 CDs. Sometimes Multi-Disc Albums were not synced correctly. Down-syncing a new album was often crashing the app. 2 Panels Mode: Folders were always sorted by article. Import from XML: Sometimes compositions were duplicated. Preferences: "Ignore Sort Names of Person items" was not working in the folder panel. Export to Text/CSV: A flat list of tracks is now exported when Tracks View is active. Next story Notebooks 1.3.1 – Create documents, manage tasks, organize files, and sync with iOS. Previous story WindowMizer 4.4 – Roll-up windows like a windowshade. Squidoo 1.0.4 – Control iTunes, Spotify, and Rdio from the menu bar (was Music Control). Apple iTunes 11.0 – Manage your music, media, iOS devices, iTunes Store, and more. Shiny Groove 1.0.5 – Client for the popular Grooveshark music service.